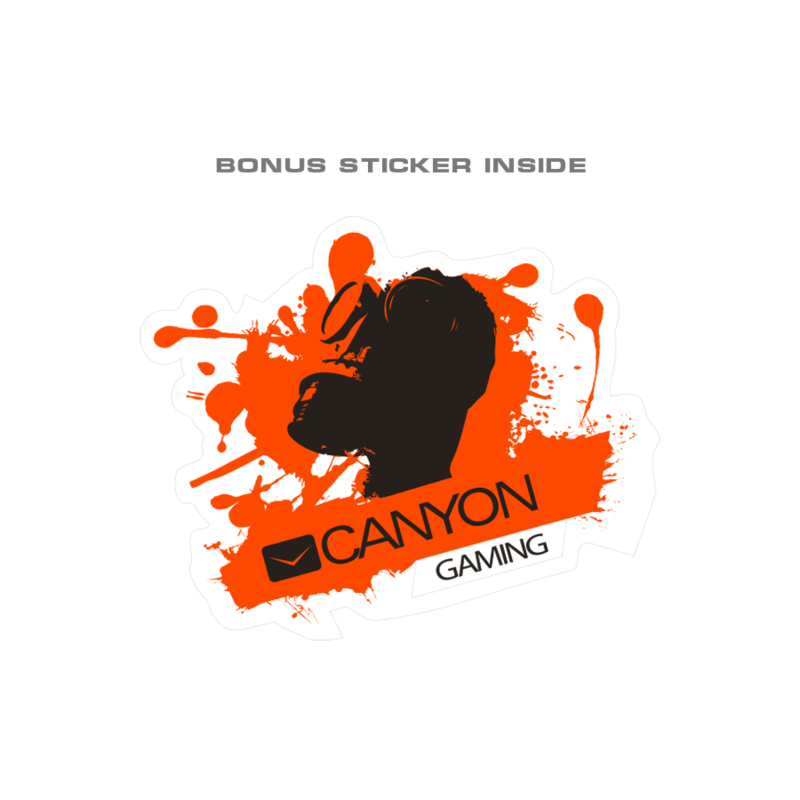 Are you an adventurous gamer who knows no compromise? 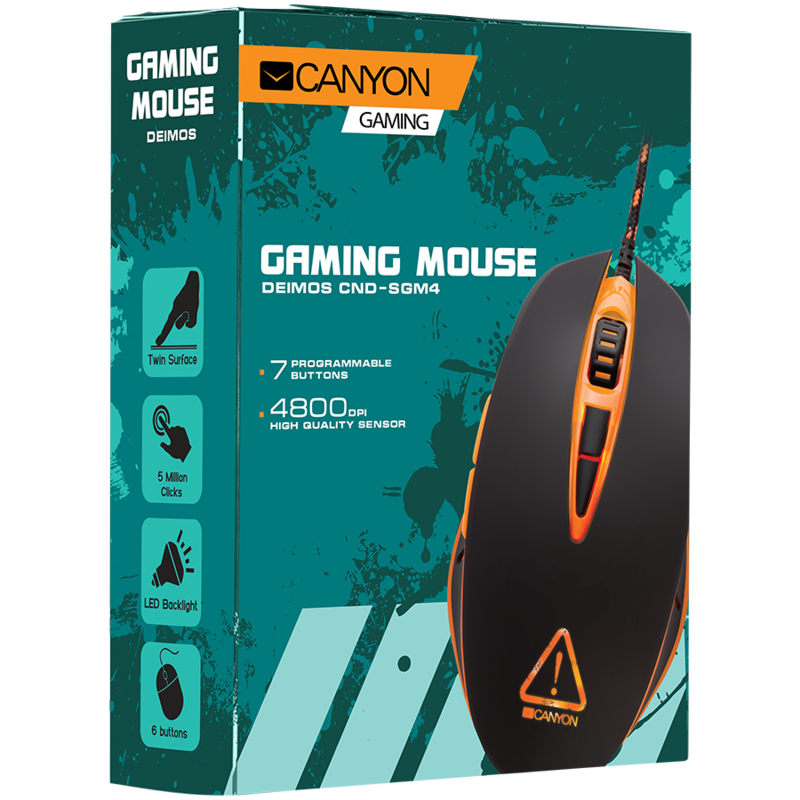 Deimos gaming mouse by Canyon is the best option for those who love stylish design and dynamic exciting games. 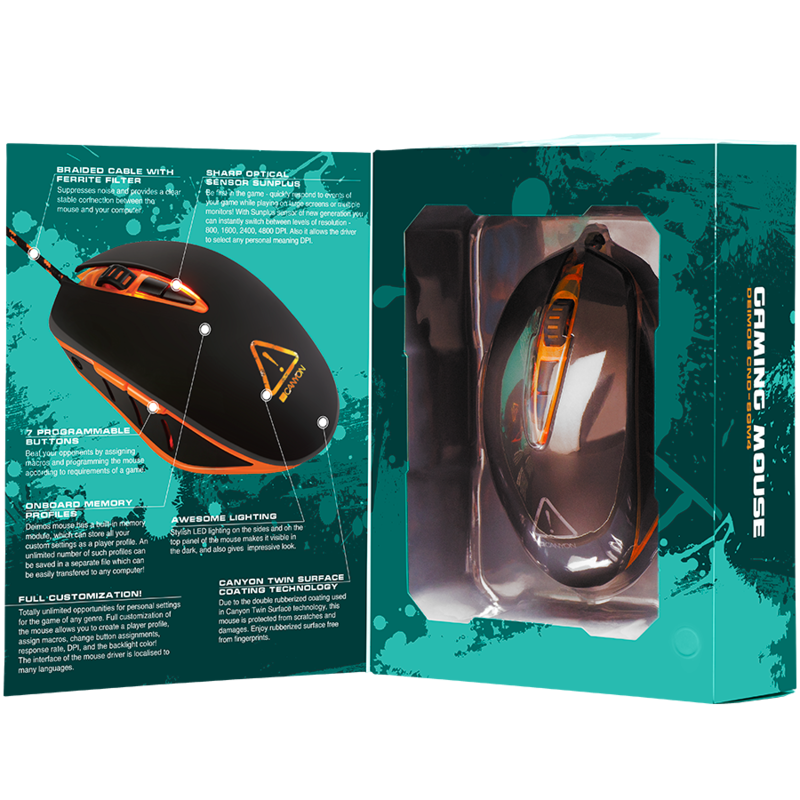 This mouse is equipped with everything you need for a comfortable win in any game: the new generation optical sensor Sunplus, four DPI levels and 7 programmable buttons.